C. 1990. 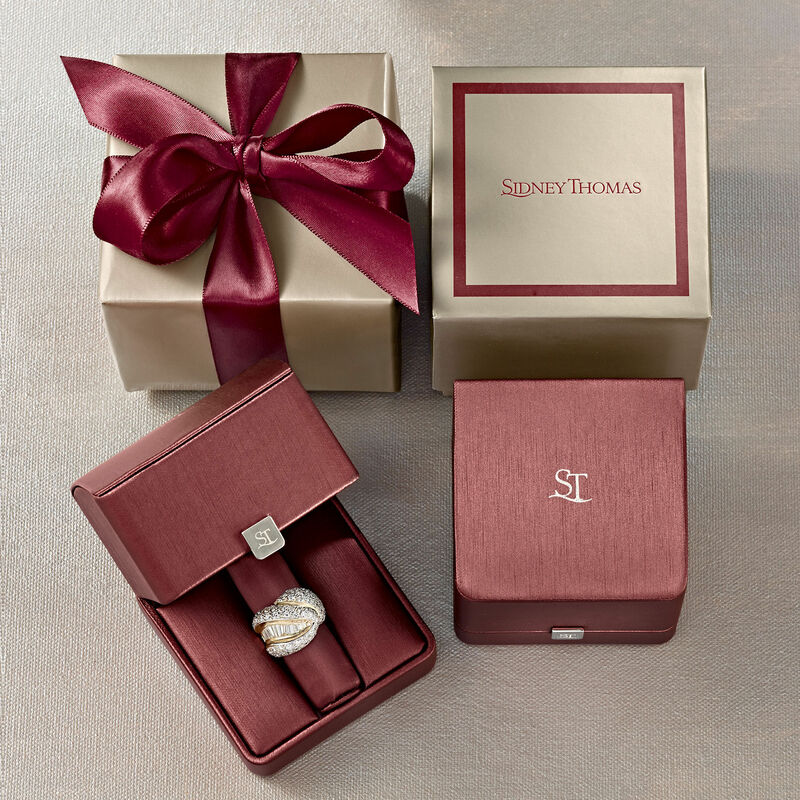 From our Estate collection, this enchanting Tiffany Jewelry design emulates the heavenly look of angel's wings. At the center, a 5mm cultured pearl gleams amid wing-inspired borders of .50 ct. t.w. marquise and round brilliant-cut diamonds. Set in polished platinum. 1/4" wide. Diamond and white pearl Tiffany Jewelry ring. Exclusive, one-of-a-kind Estate Jewelry. C. 1990 Vintage .50 ct. t.w. Diamond Pin Pendant Necklace in 14kt White Gold. 16"